Let’s make cute ice cream sandwiches with easy dairy-free cookies, chill out the summer! Rilakkuma will be in the room you can relax happily everyday. Can’t wait to revamp my whole room to Rilakkuma theme! Lemon bright flavors to spring, then watermelon is the perfect summer fruit. 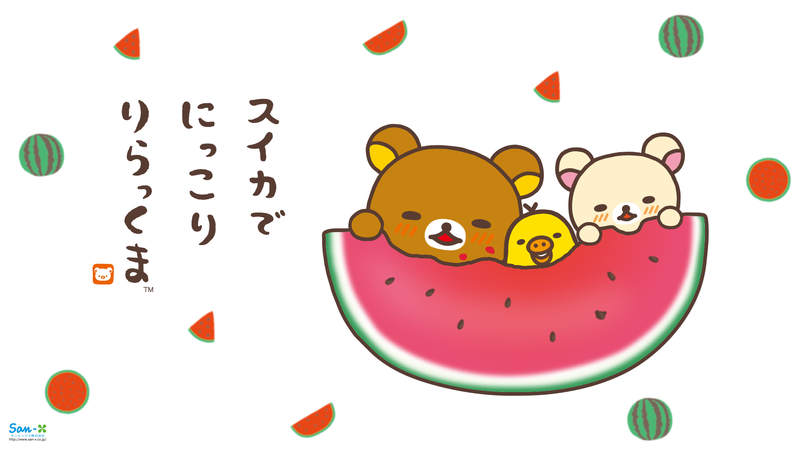 A cute Rilakkuma Mother’s Day card is sure to put a smile on her face. For Mum only the very best will do. Show her just how much you care with truly original Rilakkuma flower arrangements!